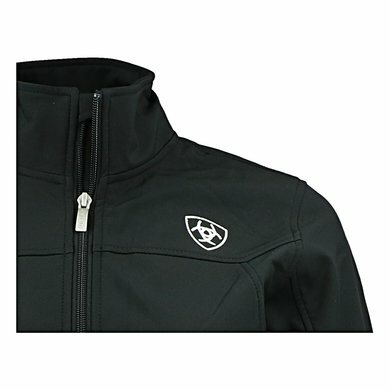 The new Team Softshell jacket is not only practical, but also functional. 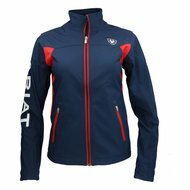 It is made of soft twill softshell that is both wind and water repellent and the microfleece lining ensures best wearing comfort. 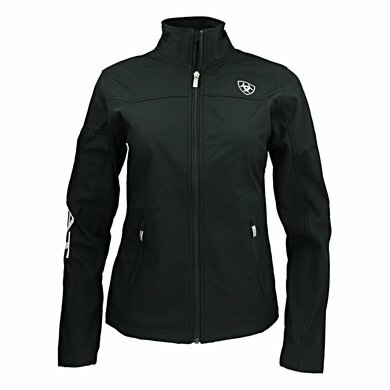 This lightweight jacket combines practical features such as a stand-up collar and zipped side pockets with a sporty color block design and logo details. 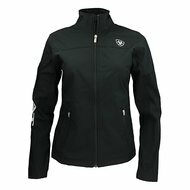 The perfect companion for training, for rides or for daily work. Warm windproof chic cardigan. He falls well on the shoulders but well around the belly. I hesitated between M and L and took an L. In itself good but so well around the belly. Nice and solid material. 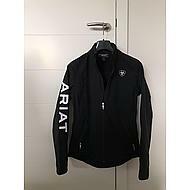 Pleasant fabric and is on the inside with fleece. The inner pockets are also very handy. Fit is perfect and the sizes are correct. 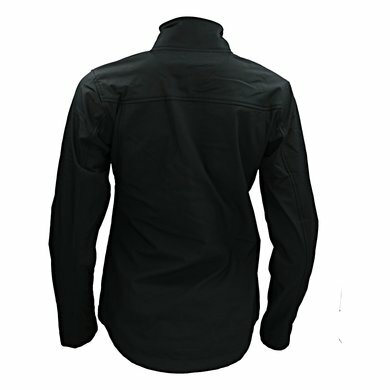 A very nice jacket, dresses nicely and is also your real clothing size. Only downside I find that the seams of the sleeve and in the armpit are very rough and uncomfortable sanding. If that would have been better finished, it was a top jacket. Happy with my new coat. Fit perfectly. Size is exactly what it says. 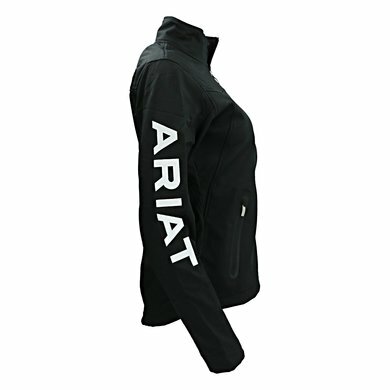 Question: Hello, where is the difference between the jacket and the ARIAT New Team softshell without the R in the label?